Welcome to my new blog ~ Me Myself and Mary Kay!!! I am so excited to share all the wonderful skincare and beauty products Mary Kay has to offer. My plan is to bring you weekly videos, make-up application how-to videos, new products and sales. If you have any special requests for videos you would like to see, please let me know... 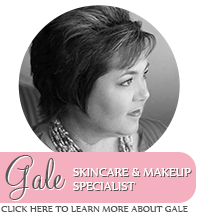 I am very passionate about taking care of your skin and teaching our daughters and men in our lives to do just that. Thank you for subscribing to my blog and as always, please feel free to leave me comments and/or questions.